Save the date! This event takes place LIVE on Thursday March 21, 2019 at 10am PST / 1pm EST. Prefer to listen by phone? You should also receive an email with these instructions. This event is a webcast, so it’s best to watch it from a computer. We will include time for Q&A at the end of the presentation, and you can enter your questions in the chat box on the event page at any time. Can’t make the live event? We’ll send out a replay link after the event. 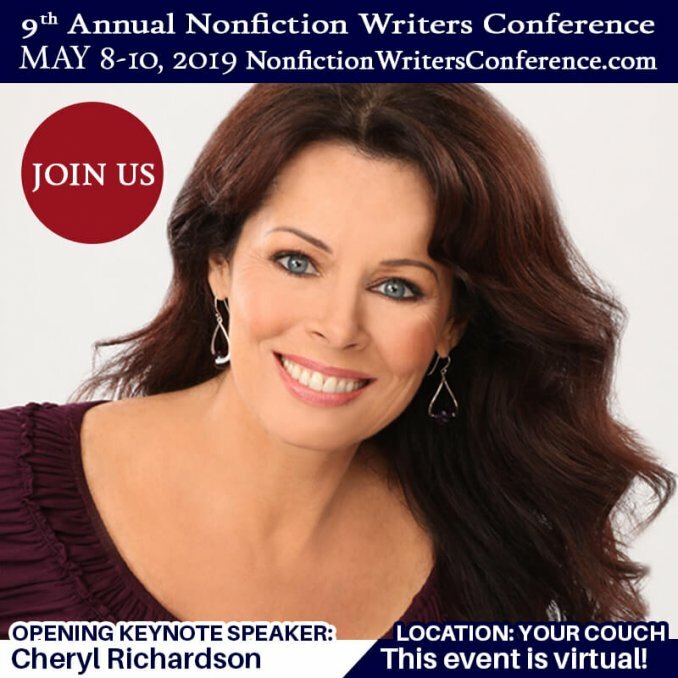 The Nonfiction Writers Conference returns May 8-10, 2019. This event is completely virtual; attendees participate via webinar or phone. We carefully select each speaker with the goal of delivering the most content-rich experience possible for our attendees. And remember, since we launched in 2010, our mission has always been to take the magic of the traditional writers’ conference experience and deliver it in an online format. This allows attendees from around the globe to participate without travel expenses. Invitation to join our private Facebook group for ALL conference attendees only. Bonus content you can download immediately once you register, so you can begin your learning journey right away. Optional membership in the Nonfiction Authors Association when you choose the Platinum + Authority registration level, or the VIP registration level. Our members are an amazing tribe of smart people who are making a difference in the world! You’ll get access to our members-only Facebook group, weekly marketing homework, recordings from past teleseminar events, exclusive templates, checklists, and other content, partner discounts, and so much more. You can even share your book announcements through our “Meet the Members” program, which amplifies your message to a network of over 100k followers! The Nonfiction Writers Conference is brought to you by the Nonfiction Authors Association, an educational community for experienced and aspiring writers. If you’re ready to accelerate your author career, pull up a seat on your couch and join us for this powerful event! New to the Nonfiction Authors Association? 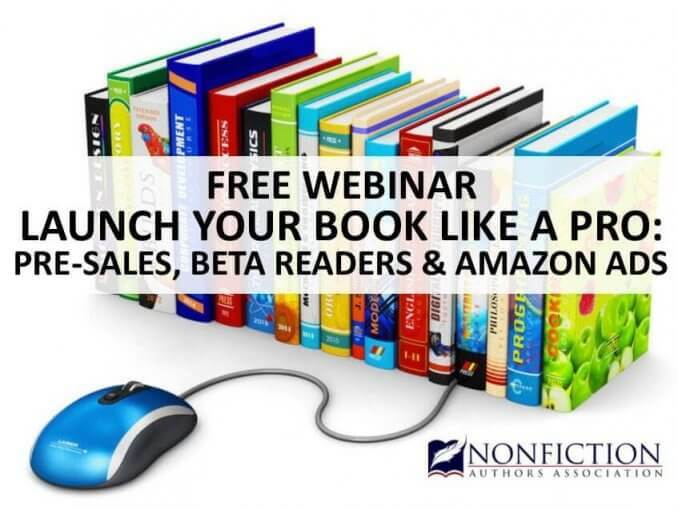 The Nonfiction Authors Association is a vibrant community for writers to connect, exchange ideas, and learn about writing, publishing, promoting, and profiting from nonfiction books. Complimentary admission to any NFAA local chapter meeting across the U.S., Canada, and U.K. If you’re ready to accelerate your author career, learn how to navigate the publishing landscape and discover how to sell more books, we invite you to become part of our supportive community and join the Nonfiction Authors Association. Ready to accelerate your author career? The Nonfiction Authors Association can help reduce the overwhelm many authors feel about the publishing industry and help you navigate your personal journey and achieve your goals. You don’t have to do it alone!